I am giving myself a big pat on my back, stretching, stretching because today I unpacked, set-up and installed a wide-carriage Pro9000 Mark II Canon printer all by myself. And since there is no one else around to tell...I am blogging about it. You know when you do something out of the ordinary, and I do mean out of the ordinary, you feel the need to tell...well that is what I am doing...telling. Now understand, that was NOT in the plans for today, but necessity rose it's ugly head and I just decided to dive in. Yesterday I printed several of my calendars in preparation for the sale this weekend, before I ran out of ink...darn. So this morning, out the door pretty early, down to my local Office Depot to stock up on paper & ink with coupons in hand. (kinda like over the river and thru the woods). Went to work as soon as I got home by adding new paper to the printer and changing out the empty ink cartridge (mine are individual ones), not all in ones. I have a PIXMA Canon printer that I have had several years and loved it, always did a great job. Well, something happened and the dreaded Error Code 5200 appeared on the screen. After looking thru the manual, yeah it's so old I had a manual, not the on-line manual that you have now, I discovered the Error Code meant printer carriage problems....not good. Looked on-line and found some remedies, tried them, didn't work. Oh crap, now what do I do? Well, I bought myself this brand new Pro9000 Canon printer a while back in anticipation of cleaning out the study and setting it up in there. Well, needless so say, the study still sits in squalor, so the printer still sat in its box. But now my trusty old one stopped working and I have these calendar and card pages to print. Now it's hand wringing time....walked across the street to grab one of the young boys to give me some help carrying this BIG box down the stairs to set up in the kitchen. The study is not going to magically clean itself up so I am forced to set this baby up in the kitchen while all this printing is taking place, right next to my laptop that has a spot on the kitchen counter as well. No one at home...drats. So, I gently, I mean gently dragged the box down the stairs, scooted it along the floor into the kitchen, opened the box on the floor and then hoisted it up onto the kitchen counter. My sweetie always taught me when lifting something heavy use your legs, not your back and it worked. Up on the counter. Now unwrap all the stuff, strip off all the orange tape, gently unwrap the printer carriage, read, read, and read some more...don't want to do anything wrong. I am dragging this out way too long...jumping to the end, I was successful. I even managed to take the USB cord off of the old printer and old computer and re-use it on the laptap and the new printer (with no instructions). That's what I mean ladies and gentlemen, a big pat on the back. 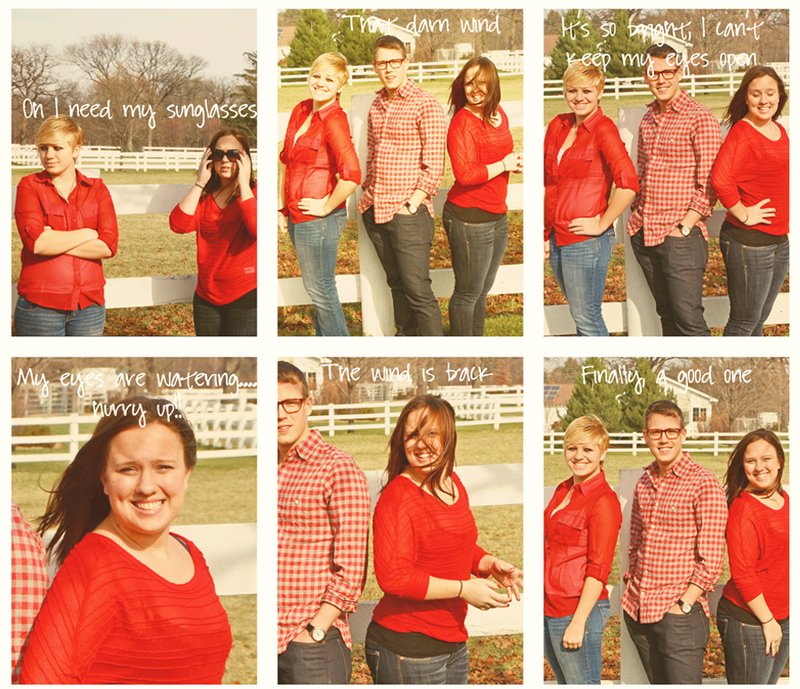 And here are just a few "out-takes" from the photo shoot the other day. These are my grand-kids and poor Bailey was having a heck of a time...too sunny, too windy, but we did get some good ones for the family shoot. Back to printing....have a good week!! i love it when technology and determination result in success! Wow Deanna great shots! I do apologize for not commenting recently but life can be crazy! All of your posts are all so beautiful and o so well done! Great photo shoot with the grandkids! So proud of your tech capabilities! I tried to make mine wireless. It took hours and a call to tech support and I am still not wireless! It does print though! Suppose I should be grateful for that! Have a great week. Leave that study in squalor and keep on snapping! Bravo, Deanna! I'm waiting for a new printer and am already stressed thinking about installing. It's wireless. I may have to call you for instructions! Ha, a pat on the back is right! Hope your calendar sales go great! I know they will be gorgeous! That is a huge accomplishment and I don't blame you for wanting to share. An enormous undertaking. Gosh, I did not realize that you can print calendars yourself these days. Man, I am out of the loop! Wishing you loads of luck on the calendars. So glad you are doing those! Let me know if you sell them online. I understand being proud of yourself for such a great job done on your own. I decided to try to install my own dishwasher 4 years ago when I bought a new one. I did it all by myself....and it worked. Amazing what we can do when we try. I'm glad you didn't trip coming down those stairs dragging that box, though. Next time, wait til you can get some help before moving something heavy down the stairs. It would have been horrible had you spent the next couple of days in the hospital! Well good for you. You should be patting yourself on the back.. My husband always has to do all that technical stuff for me. Such cute photos. I do hope you have a awesome week. Loved reading about your adventure!! You definitely deserve a pat on the back. My daughter received an early Christmas present....a PS3 game platform and she asked me to hook it all up for her (my husband is technically challenged) and I actually said no, that she needed to try to do it herself first...and she did...and she succeeded....good experience in case there comes a day when she needs to hook up a pretty nifty printer ;)...Yay for you!!! Way to go with the printer! They are crazy machines that think they are more complicated than they should be! Love the outtakes!! Deanna! morning! nice post. Glad you were ambitious and got that printer set up and rolling. Thanks for noticing my grandson's turkey hat! Clarification: I do not dress up my dog! she is a dog. btw, she hates even a pink handkerchief on her neck. Clothes would drive her battttty! hahahahaha. I'm impressed, that's for sure. And the printer sounds fabulous! Congrats...my Canon Pixma's been broken for well over a year and I still haven't decided what to replace it with! Have you looked into WHCC or any of the other pro labs? I use WHCC and get wonderful results. My only objection is that minimum purchase for note cards is 25. But for prints, there is a quantity discount. Well done! Feels good when something works. I hope you show us one of the calendars...or did I miss that? pat away, pat away! Love the out-takes on your adorable family. PAT PAT PAT....good for you. this post put a smile on my face! I'm patting you on your back, too! You are a genius, Deanna!!! I loved reading this post so much and the photos are so gorgeous! See - I'm still smiling - thanks so much for that!!! LOL! Great job on installing the printer and I'm glad to see I'm not the only one who has photo shoot struggles! Deanna, BIG kuddos to you for the printer set up. Anything technical...ugh for me☺ I love the shirts the grandkids wore for the pictures...very cool!